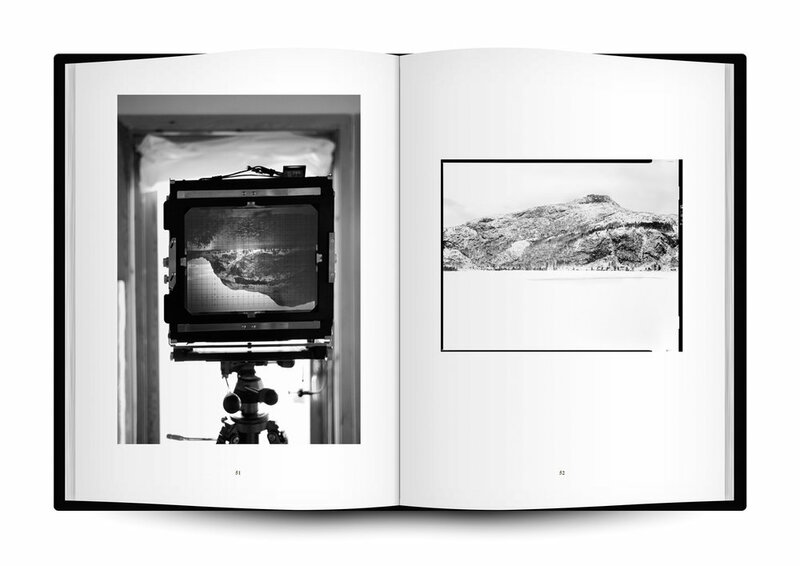 Narcissus is a collection of extraordinary landscape photographs taken by Franklin over a five year period in the region of Møre og Romsdal on Norway’s western fjordland. Beginning in 2009, Franklin bought a cottage by a lake on the island of Otrøya, spending a great deal of time there over the following years. The resultant body of work documents his experience in this remote place, which led to a deeper understanding and sensitivity for the abundance around him in an environment that at first seemed barren. These very tranquil, contemplative, anthropomorphic and introverted landscape photographs time and again seek references to human beings—a path, a chopping block in a far corner of the property, the reflection of the silhouette of a mountain in a lake that seems to melt into a human portrait. An urbanite encounters a small, special piece of nature and sees his reflection in it.